I truly despair with all the news coming out of Libya these days after having such high hopes during the Arab Spring when the people got rid of Colonel Muammar Gaddafi. Yes, they might have been emboldened by NATO but it was ordinary Libyans who wreaked their revenge on the dictator who pledged to destroyed them all in his infamous “Zenga Zenga” speech. I was in Benghazi and Misrata shortly after his demise in 2011 expressing concern about NATO intervention when a Libyan woman asked me: “If you are drowning and going under for the last time and someone extends a hand, do you grab it?” Obviously it was a rhetorical question because we would all grab that hand. However, the struggle for democracy has unravelled in Libya thanks to meddling and interference from some Arab countries who fear democracy more than anything – we all know who they are. But while all of this is going on the instability in Libya has given rise to an even more loathsome set of individual – people smugglers who want to cash in on the misfortune of others. Just the other day these vile individuals mowed down a group of 100 migrants attempting to flee their clutches in Bani Walid in northern Libya, according to Medicin san Frontiers aid agency. Around 25 survived to receive hospital treatment in the town while many died and dozens more, mostly women, were left behind. The country is a lawless basket case at the moment with power struggles between numerous militias and two rival governments. While the turmoil continues rogues like the slave traders – for that is what they are – are cashing in on the situation. Those treated included teenagers from Somalia, Ethiopia and Eritrea. Some told MSF aid workers how they had been sold between groups of human traffickers during their time in captivity. Some has been held for up to three years. 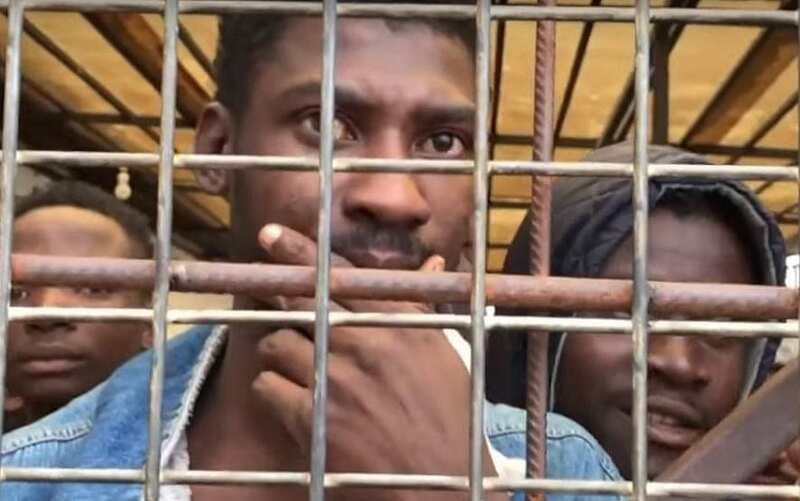 If the West will not help these teenagers then they must help the failing sub-Saharan countries and try and educate their peoples that as bad as their lives might seem, travelling to Libya in the hope of getting to Europe is not the answer. There’s also an international criminal court in existence and its powers should be used to arrest these people traffickers and bring them to justice. Without these 21st century slave traders many young people would not risk their lives to try and find a better life in Europe.